For years I worked pretty much non-stop. Always doing, rarely resting. I've plunged into one job or task after another like some super hero to the rescue only to find myself overworked and overwhelmed. I still find myself doing this. Last week I was called to a home to work with an aggressive Pitbull. I plunged ahead into this job as I have done with all the rest. When I was greeted at the door and told to come in, I soon learned the Pit wasn't muzzled, wasn't leashed, and was barking viciously, lunging at me, ready to attack. Everything in me shook. Yes, I was terrified. I know what you're thinking, well you work with aggressive dogs every day. Yes, I do. But these dogs are muzzled and leashed. Yet I knew if I showed fear, the dog would see my weakness and attack me, so I remained calm and stood still until the owner finally restrained the dog and we could get the dog leashed and under control. I showed the owner how to get the dog to settle and give her a time out when she behaved like that. Too often, like this Pitbull, we are out of control and running around crazy too. We can get ornery and mean if we don't settle down and take a time out. Lately my time out has been nature walks and photography. Having lost four close family members in the past 3 1/2 years has caused me to go through some pretty challenging times, but since I've been going on these hikes, I have a lot more peace. But I'm still not the most patient person. I don't like to stand in one place too long, I like to keep moving. This past week I've been hearing a soft voice whisper, "Be still." When I paused and waited beautiful birds, hawks, turtles, bunnies, and nature appeared right before my eyes, all I had to do was stand there and bask in its glory. I got some great shots too. 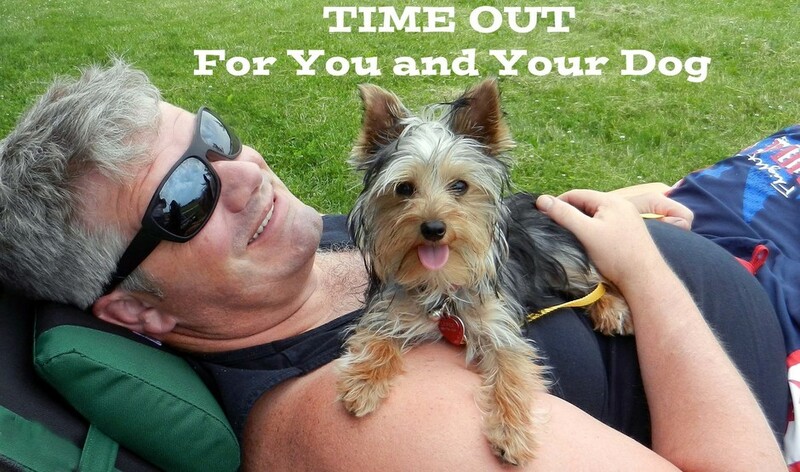 My dogs have taught me a lot about taking time out. If you ever watch a dog, they run and play for awhile, drink a little, eat a little and rest a lot. As humans we think we need to go like energizer bunnies. Even when we're resting, we're not fully at rest. This can cause tremendous stress and health issues. Many are searching for peace. I hope you can find a way of escape, a time out to be still, so you too can enjoy your life, your family, and your dog. Even God rested on the 7th day. Be on a quest for rest and watch your life be blessed. Lisa Freeman is a motivational speaker, life coach, AKC dog trainer, and photographer from Owosso, Michigan. An abuse survivor and advocate she has traveled abroad with her work of activism to rescue people and dogs and bring healing to communities.